Thanks again to everyone involved. Please spread the word! And that yidaki he’s holding in the picture above and in the fundraiser video? If you’re in North America, you can buy it and/or one other from Burrŋupurrŋu here – http://gingerroot.com/catalog/yidaki.htm, with a share of the purchase price going to the campaign. 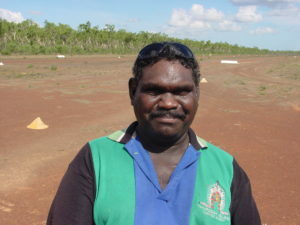 To be brief, Burrŋupurrŋu AKA Bruce Wunuŋmurra is a leader of the Dhaḻwaŋu clan, an undisputed yiḏaki-djambatj (didjeridu master) and one of the nicest guys in Arnhem Land. 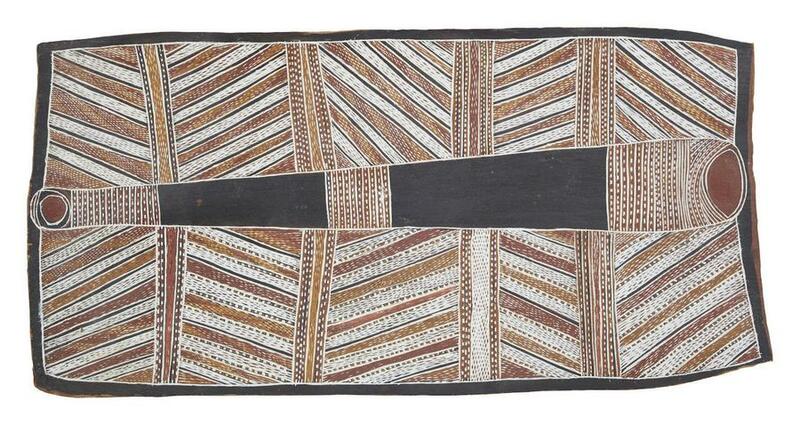 Born around 1950, he grew up between the bush and the Yirrkala mission, where he attended school. 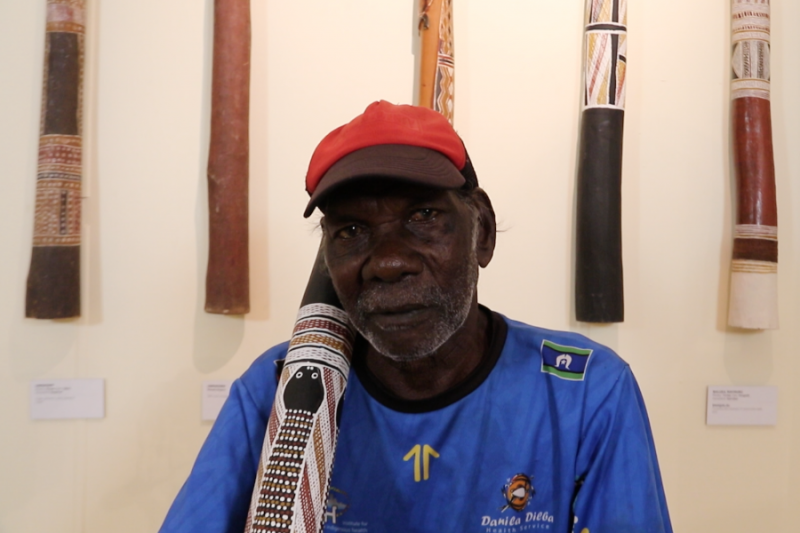 He lived most of his adult life at his clan homeland at Gurrumuru, but now finds himself at Gunyaŋara’, closer to the hospital and other services in the mining town of Nhulunbuy. Coincidentally, Burrŋupurrŋu’s father already appeared on this blog. Nyepayŋa, at left, was one of the “Two Brothers at Galarra.” He fathered many children who became leaders and renowned artists. 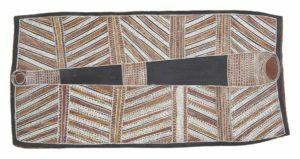 The late Yaŋgarriny was a prominent Yolŋu artist. Burrŋupurrŋu’s brothers Yumutjin and Warralka lead song with gäthu/nephew Wambuna on yiḏaki in this video clip from the recording of the album Gurrumuru. 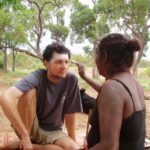 Burrŋupurrŋu’s mother was Gangarriwuy of the Marrakulu clan – stringybark people, as we learned in the first blog post. With Manydjarri & Djalu’s tutelage, Burrŋupurrŋu and his brother Djalawu became the hot yidaki players in the 1970’s, in demand for ceremonial playing. The late Milkayŋu Munuŋgurr credits them as his biggest influence. He told me about walking through Yirrkala when he was a school boy and hearing cassette tapes of ceremony playing from houses. He would go, sit down and listen and analyze the playing style. This was the beginning of what he would later call yiḏaki ŋäṉarr-ḏäl, or “hard tongue didgeridoo.” Milkay went to live with his Dhaḻwaŋu kin, partly to learn yidaki from Djalawu and Burrŋupurrŋu. From the initial yidaki boom circa 2000, through my tenure in Yirrkala 2004-2009, and right up to today, Burrŋupurrŋu and Djul’djul have remained some of the hardest working yidaki makers with the highest standard of quality in both craftsmanship and artistry. Excerpts of my 2005 interview with Burrŋupurrŋu appear on two pages of Yiḏakiwuy Dhäwu Miwatjŋurunydja. 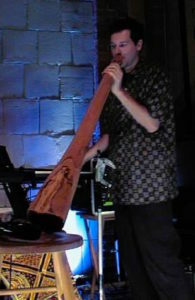 Check out his off-the-cuff comments on non-Aboriginal didgeridoo makers and female players. A few years ago, Burrŋupurrŋu was diagnosed with leukemia. I haven’t been nosy enough to find out the exact type, but it’s in the category of Myeloproliferative neoplasms. Patients with these diseases may not ever be cured as such, but they can live with the condition for many years. This seems to be the case with Burrŋupurrŋu. He’s going on with his life, but without the strength he once had, and with the extra complications and expense of regular medical treatments. This fundraiser aims to help offset those extra complications and expenses. I’ll turn you over to the fundraiser page for more info. Thanks for reading and considering helping out, and cheers to my old colleague, flatmate and friend Jeremy Cloake for starting the fundraising campaign. Welcome to the YiḏakiStory.com Blog! 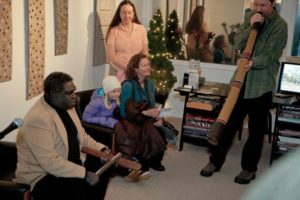 This new addition to YiḏakiStory.com extends the discussion of Yiḏakiwuy Dhäwu Miwatjŋurunydja with more personal thoughts and articles from Randin Graves, didgeridoo artist, yiḏaki seller, Fulbright Fellow, former coordinator of the Buku-Ḻarrŋgay Mulka art centre and Mulka Project multimedia centre in Yirrkala, northeast Arnhem Land, Australia, and all around nice guy. 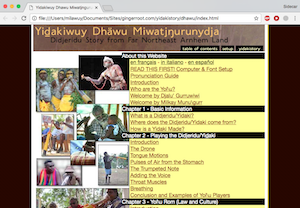 New posts on all manner of subjects regarding yiḏaki and Yolŋu culture are coming soon. Things you don’t know. Books you should read. Movies you should see.